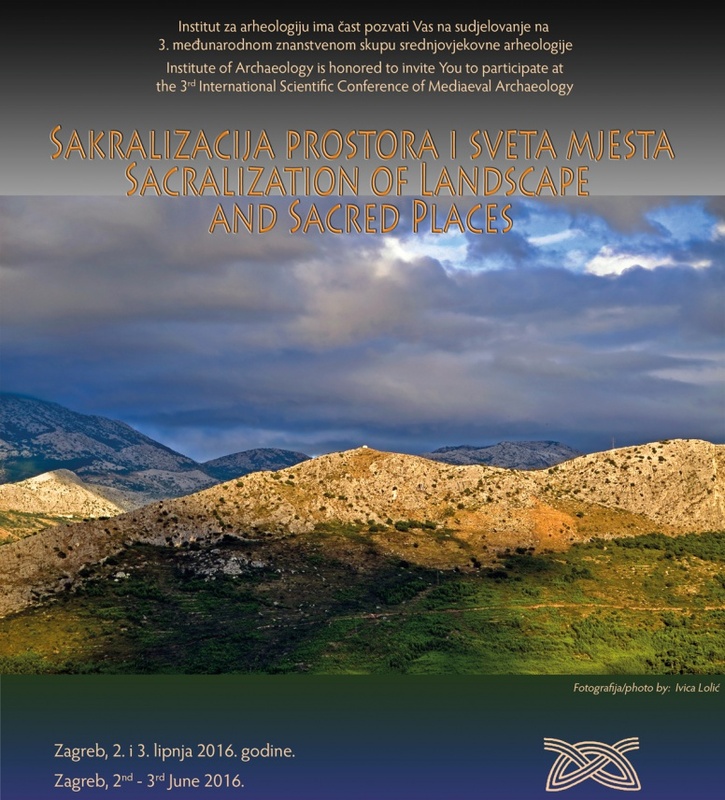 We invite you to participate at the scientific conference Sacralization of Landscape and Sacred Places, organised by the Institute of Archaeology on the 2nd and 3rd June 2016. Human settlement of landscape raises also the question of marking the landscape with one’s own religion. A similar thing happens when religious systems are changed. In this, of course, we often witness that the continuity of sacred places is preserved. Although such procedures are sometimes not documented in written sources, their traces can still be found in toponyms, popular traditions and archaeological finds. Since the character of this subject transcends the traditional boundaries of the archaeological discipline, we are looking forward to a multidisciplinary encounter of different ideas, approaches, methods, results and interpretations. The official languages of the conference are Croatian and English, if you plan to deliver your presentation in Croatian, we kindly ask you to submit the title and summary of the presentation in both Croatian and English. Presentations are limited to 20 minutes. In case you have any queries please do not hesitate to contact us. This website uses “cookies” to ensure you get the best experience while viewing our content… I accept.